***this is made for meets as official but also available for m!x. If you use it for ID/IDL/P’s/4U/4U+, it may have 0.5mm space in both sides. Please understand. Since this product is “Hard surface coated PET film” of “surface hardness 9 H” corresponding to tempered glass and PET film surface hardness of 9 H, it has flexibility even when subjected to impact, and It will not break easily. The thickness is about 0.2 mm, it is very thin and does not affect the sensitivity of touch operation. High light transmittance, high transparency faithful to the original image, high-quality glossy feel. By stain prevention paint, it is hard to stain and it is easy to remove dirt. The slide of the finger is smooth and comfortable feeling of use. The adhesive surface is a special type of self-absorption that bubbles are difficult to enter. Because of the flexibility of the material, you can easily paste the film and you can easily peel it off. 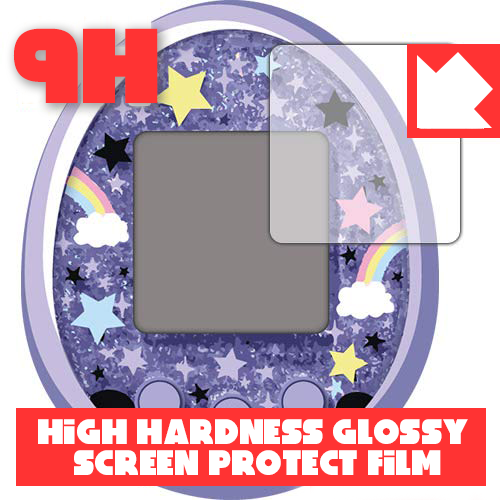 Unlike glass film, this product is safe because it does not scatter. Because it is the optimum dedicated size for each device, it is only pasting without cutting.